The cherry blossom in Nakameguro I went last year. Pink of my clothes linked with cherry blossoms. 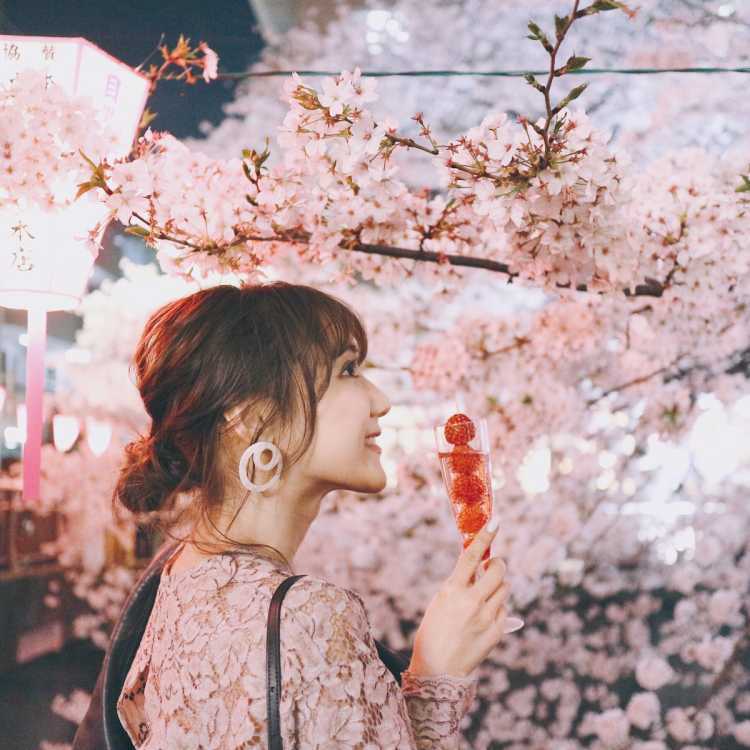 The night cherry blossoms were beautiful so much. I want to go this year, too. 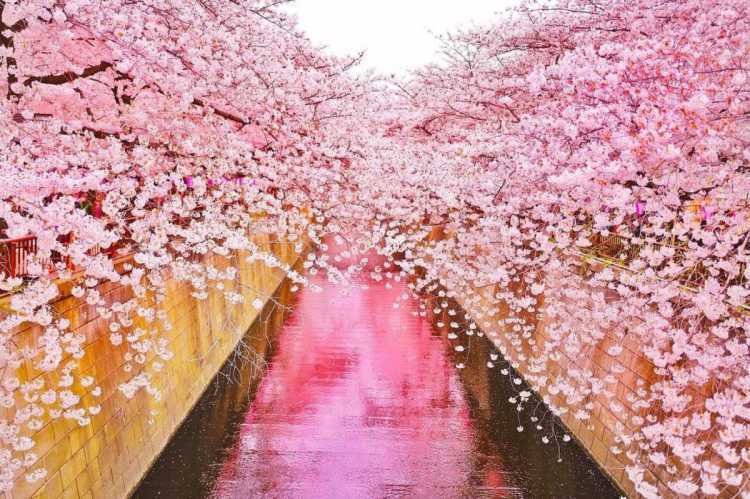 We can enjoy walking with drinks and food in our hands while we go through the cherry blossom tunnel. The branches hanging downward to the Meguro River are looked very close from the bridges. What's more, these cherry trees are lighted beautifully at night.